Its name honours a martyr thrown to the lions, who used to own the land on which the venue stands. Thus the nickname “Lions” the club has, confirmed by stuffed lion standing in the club museum. 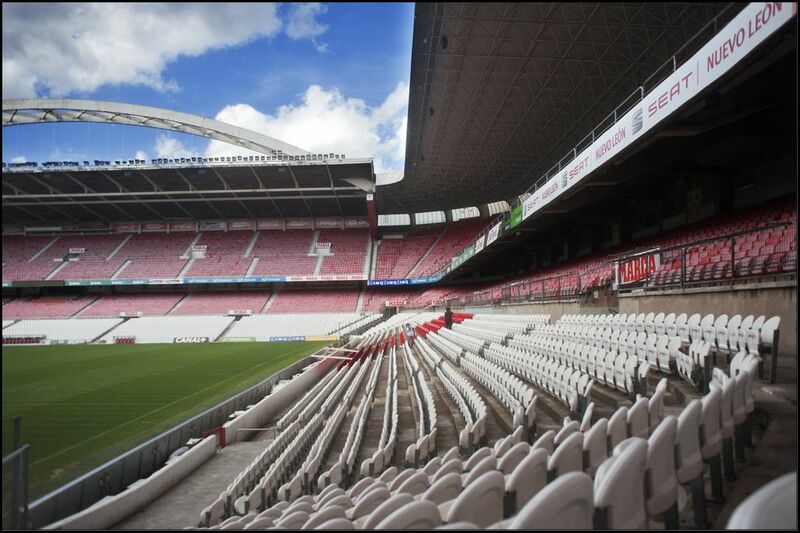 For many people it’s simply “The Cathedral” (La Catedral). 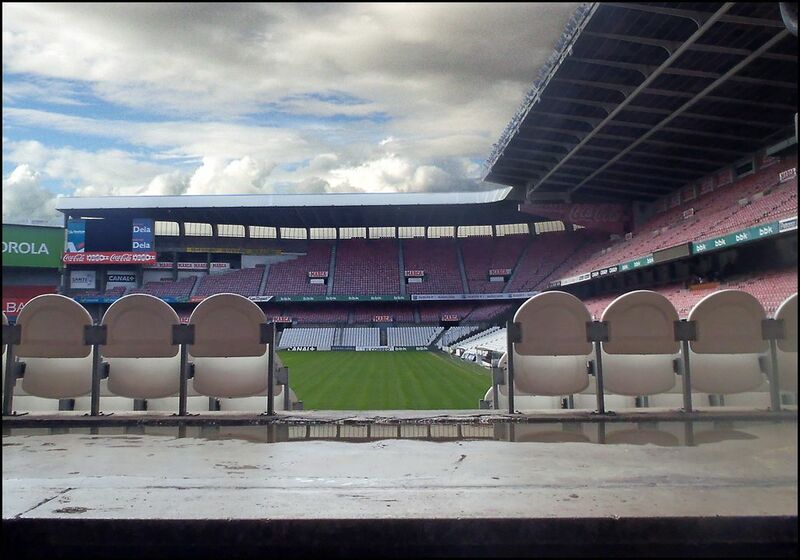 First stone was laid in January 1913 and already in August, after exactly 7 months, opening match was held. 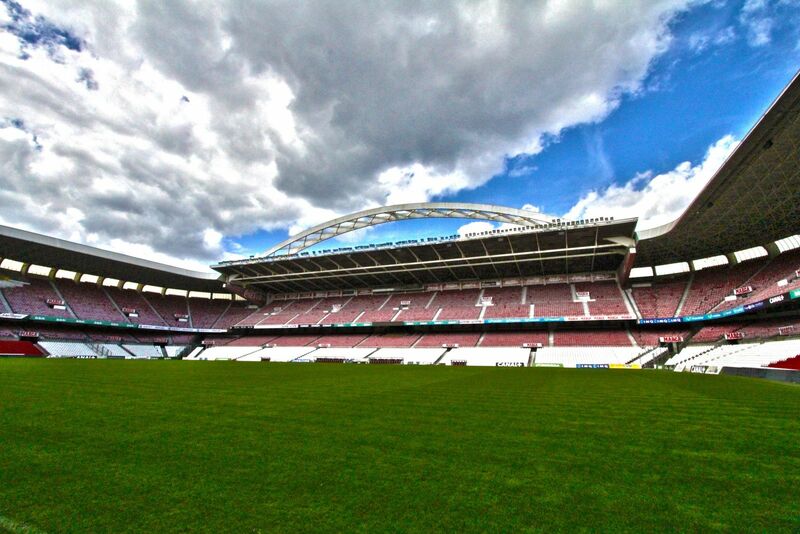 Initial stadium of just 3,500 people was designed by renowned architect Manuel Maria Smith. It changed soon as already in 1920’s expansion to some 9,000 took place. 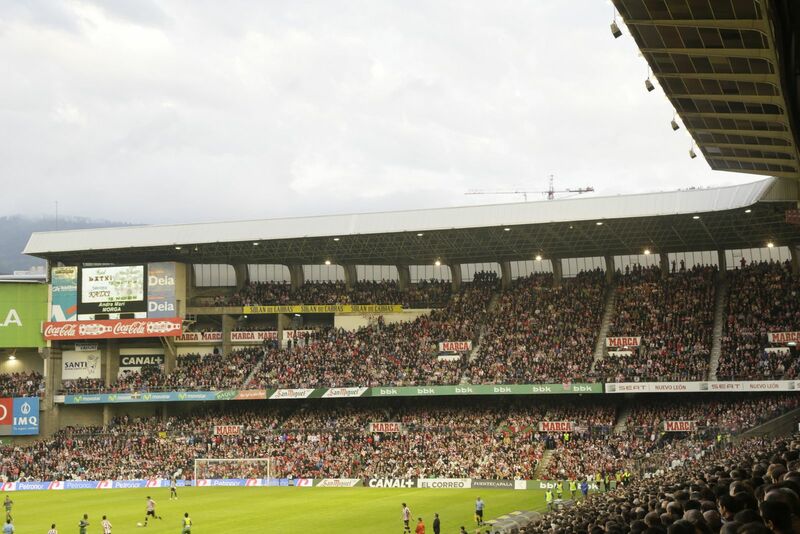 Further revamps lead to 47,000 people capacity at peak. That was in 1952, when the famous grandstand with arch supporting the roof was built. 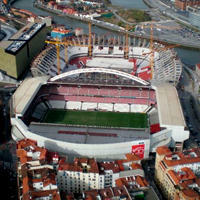 At that time it was among the most unusual stadium structures. Number of people wasn’t changing much with next stands being built in 1957, 1961 and 1972. 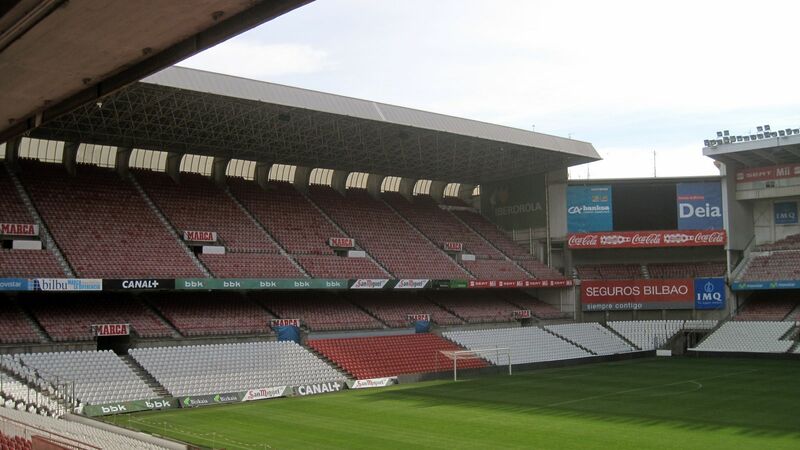 It did, though, in 1997 as FIFA, UEFA and Spanish FA demanded that terracing be removed, downsizing the stadium to some 40,000. 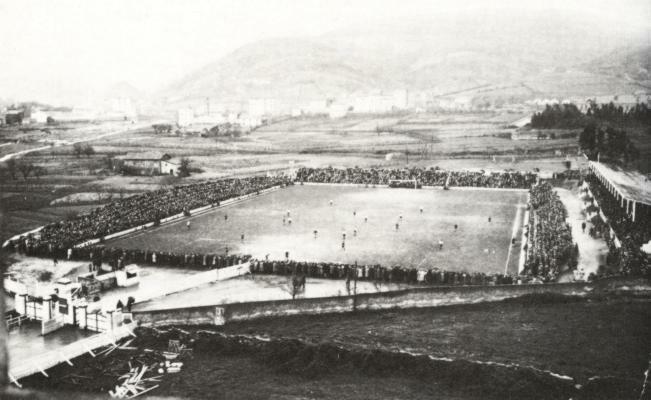 It was home to numerous exciting encounters, like the 1921 Copa del Rey final or several Spain’s and many Basque national games. 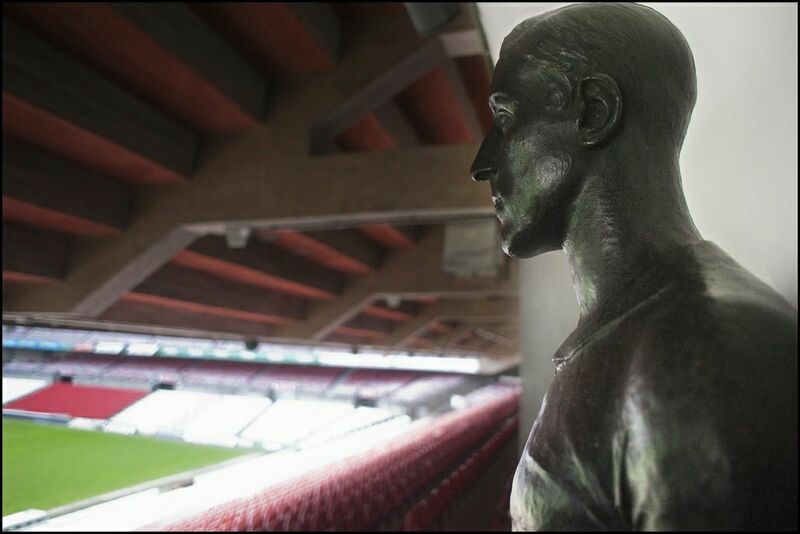 It also plays a part in European and global football history with 1977 UEFA Cup final or 1982 World Cup fixtures. 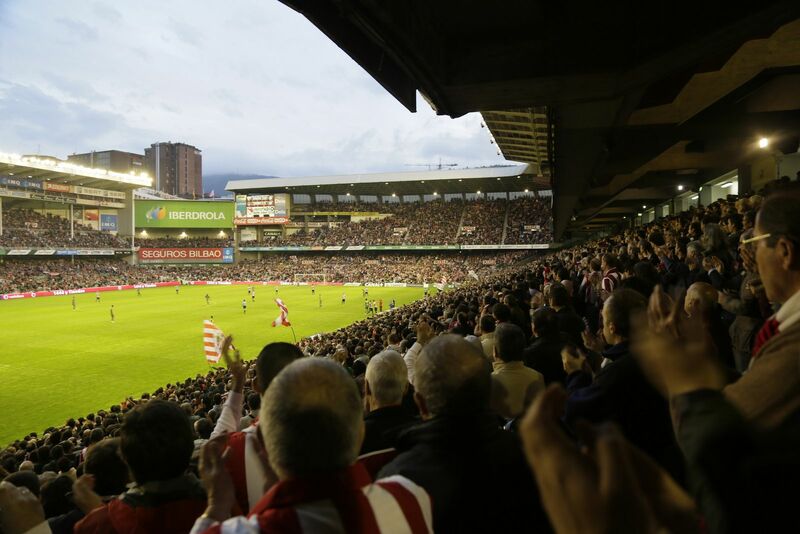 But it’s the owners, Athletic Club, who played most of their most legendary games here with San Mames being the only venue to host all seasons of the Primera División. 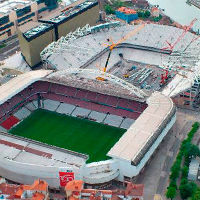 In recent years also home to concerts of most popular vocalists with Bruce Springsteen or Shakira opening the list. 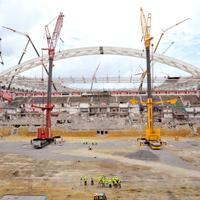 In 2010 construction of a new ground partly in the current location took place. 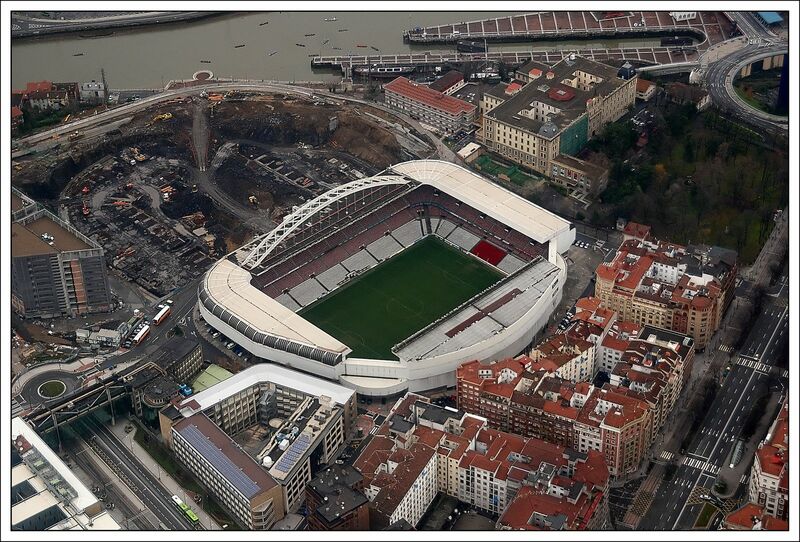 Initial part didn’t require demolishing San Mames, but when finished, it will need the land to get remaining stands done. No arch is planned in the new design, but the structure is to be reused in one of the city’s bridges. 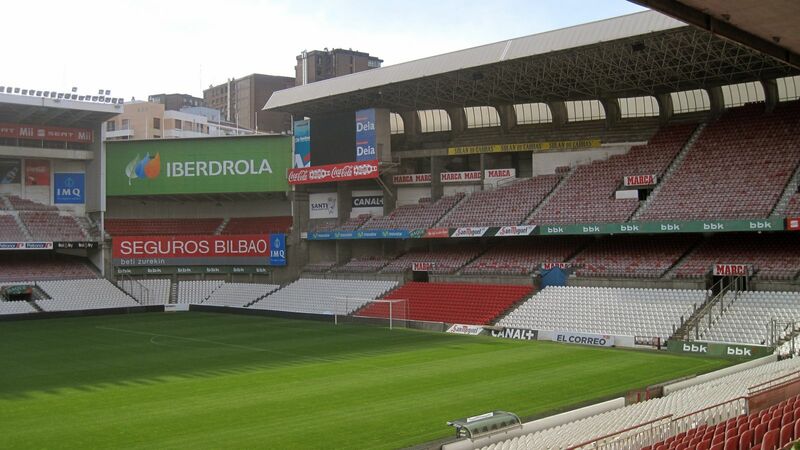 Athletic managed to install their old roof arch along their primary training field. 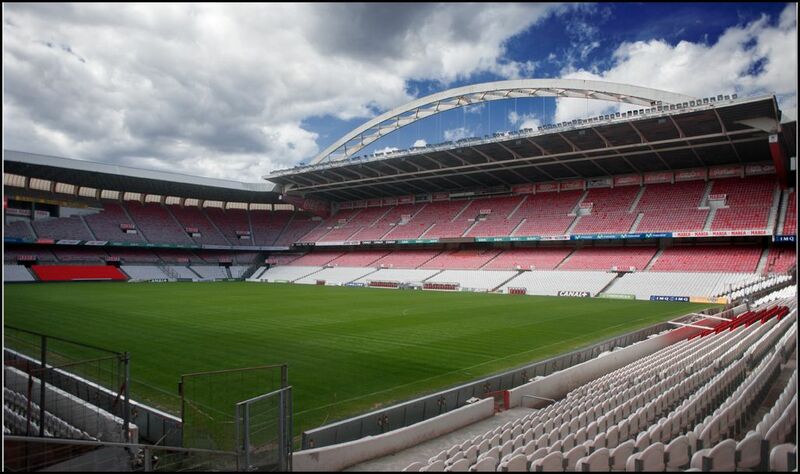 This is where fans will now gather and the structure will have a second life. 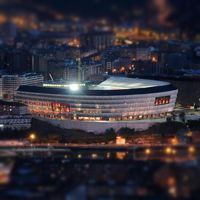 Although one stand is still missing, the stadium was opened yesterday with its first ever Primera División encounter against Celta Vigo. 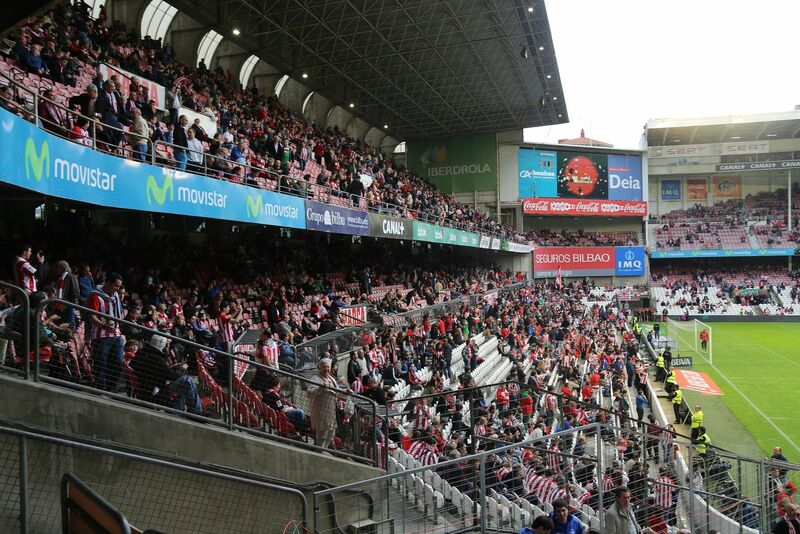 Athletic lost two goals, but made it up to the fans by scoring three. 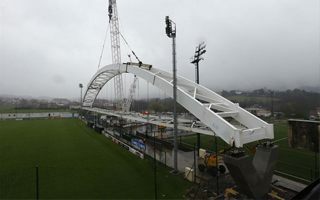 After over 60 years of decorating Bilbao's skyline, the arch over main stand of Athletic's stadium was demounted yesterday. It will now be dismantled and transferred outside the city. 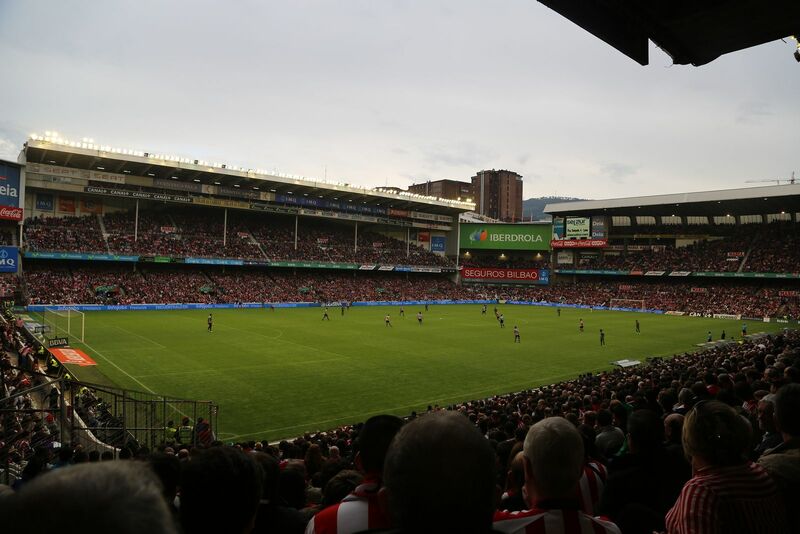 Prestigious friendly game between Athletic Bilbao and Basque Country national team will mark the end of nearly a century of football at San Mamés tonight. 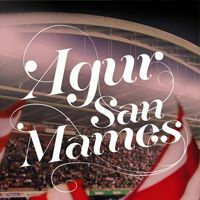 The slogan “Agur San Mames” has been around for a while, though.